Southern Hills Plantation, FL: You’re invited to stay, play. > Southern Hills Plantation, Brooksville FL invites you to visit this private golf club community on a luxurious Stay’n Play visit. Staying at The Villas at Southern Hills gives golfers the option to turn a great round of golf into a dream getaway. 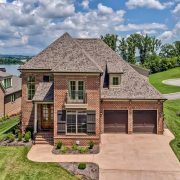 The Villas at Southern Hills feature 2 BRs/ 2BAs, full kitchen and living room, digital cable and a full balcony that overlooks the club’s Pete Dye-designed championship golf course. Weekday and weekend rates are available. Send me more information about Southern Hills Plantation! 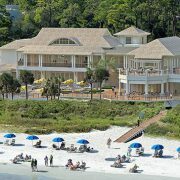 Dataw Island, SC: Recognized for excellent golf & more. 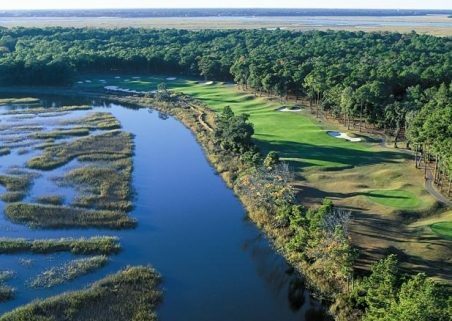 > Dataw Island, SC is honored to be named the South Carolina Golf Association’s 2018 Club of the Year. Since 2013, the SCGA has bestowed this coveted award annually in recognition of clubs that show commitment to growing the game through amateur golf by hosting championships, seminars, charity events and other important activities. Recent notable golf tournaments on Dataw Island include the SCGA’s Amateur and Senior Amateur, the SC Open, and the TaylorMade Intercollegiate. Send me more information about Dataw Island! WindRiver, TN: Hosting fun evening Dec. 6. > WindRiver, Lenoir City TN has a festive evening coming up on Thur., Dec. 6 in the oak-paneled comfort of its Citico’s Restaurant lounge, beginning with a Happy Hour from 5:30 to 6:30 p.m.
After that it’s Trivia Night, hosted by the always entertaining Knox Trivia Guys, starting at 6:30 pm. Guests can order dinner from the Lounge menu and compete for prizes that will be awarded to the top three point-getting teams. Send me more information about WindRiver!